At any rate, White Deer outdid himself that day. He made duck with the skin parted and crisped and the meat salty and rich and good. He had cooked squab in soy sauce so that the skin and meat were a deep, deep brown all the way to the bone. There was shark's-fin soup, tasting of the sea. There were huge prawns fried in a special batter that gave them an extra fluffy coat. And on and on. But we weren't allowed to touch any of the courses until we had the toasts. 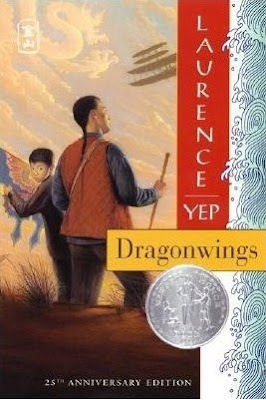 It's the first truly Asian American children's book. :o) See you in May!! !